Let’s get one thing clear about this week’s Senate vote on a Green New Deal: Mitch McConnell is a twerp. The resolution that was voted on this week was not the non-binding Green New Deal resolution introduced by Sen. Edward Markey (D-Mass.) and Rep. Alexandria Ocasio-Cortez (D-N.Y.), which we’ve talked. a lot. about. That resolution would need to be referred to committee, where it would have committee hearings and consideration and debate – the kind of stuff that might address the concerns we and others have raised about banning fossil fuels, stopping pipelines, and the like. It also would give time and space to fill in details that are missing. McConnell doesn’t want that debate, so he introduced this binding resolution making “it is the sense of the Senate” that the Green New Deal should become “the policy of the United States.” Like I said, he’s a twerp. That’s especially galling because the oil, gas, & coal industries contributed more than $55 MILLION to senators who voted “no” on the #GreenNewDeal resolution – 11x more than to those who voted “present”. It’s also hard to swallow because after 3 months of a new Congress, thousands of media stories, hundreds of lobby visits, sit ins, protests, and press conference galore we’ve actually managed to convince a majority of Americans that this is a crisis worth tackling – and tackling this way. Which is why I’m sticking to my guns on this 198-methods strategy: We need outside action, especially direct action, that slows or stops the buildout of fossil fuel infrastructure. AND we need an inside-strategy that presses politicians and regulators to take actions (like a real, fossil-free, Green New Deal), because only big policy solutions will change the dynamic fast enough. Don’t get me wrong, the Green New Deal has re-shaped the debate on climate change and gotten politicians to talk about the scope and severity of the crisis in a serious way for the first time in a long time. But the conversation is still stuck in false assumptions that will not keep fossil fuels in the ground or address the systemic racism and injustice of sacrifice zones. In the House of Representatives (outside Mitch the twerp-turtle’s jurisdiction), at least 3 committees are considering climate legislation. But all those bills, and even the actual resolution from Markey and AOC still talk about “net zero emissions” or set the timeline to end fossil fuels and nuclear power way too far in the future (like 2050 or later). As a side-note, Booker was at a South Carolina town hall meeting organized by CNN that night. If he’d read the local paper, he might have seen that a few miles away another nuclear waste site was caught leaking tritium into the ground water in Barnwell, SC. If we leave fossil fuels and nuclear on the table, what we’re really saying is that we’re ok with sacrifice zones. Because if we don’t start phasing out dirty energy NOW then they will keep building them, and people will keep getting sick, having their land stolen, and worse. The 5 biggest oil companies (BP, Exxon, Shell etc) are planning to spend $110 BILLION on new oil & gas projects THIS YEAR (2019) & just 3% as much on clean alternatives. 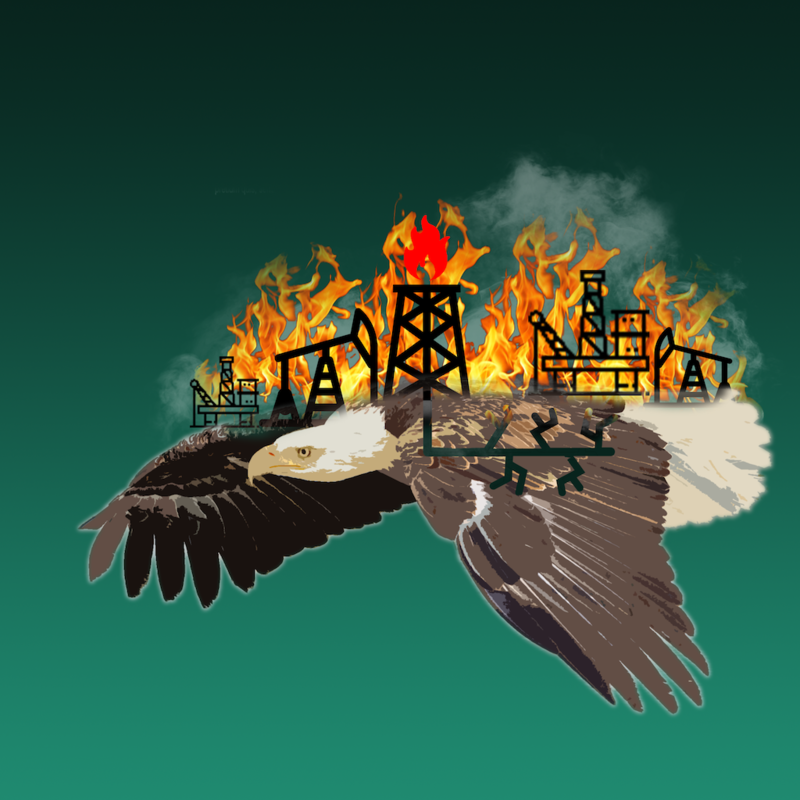 Wall Street, the fossil fuel companies, the utilities, every single Republican in the Senate and a shockingly large number Democrats are committed to that same vision: another 20-50 years of drilling, spilling, pipelines, genocide, and ecological devastation. The Senate vote was a sham and a stunt — not least of all because it distracted everyone (effectively) from the real action in the House where this week Nancy Pelosi introduced HR 9 . to keep the US in the Paris climate agreement. Paris is not a panacea — It’s non-binding, like the AOC/Markey resolution. But it creates a framework to debate bills that have a lot more force and effect. It’s like agreeing on the playing field, the rules, and saying that we’re in the game. We still need to do all the things to win (in this case stop climate change before it kills us all). And none of that will be possible if we slash our own achilles’ tendons — which is what building 12 new gas export facilities, millions of acres of fracking and drilling rigs, and millions of miles of new pipelines would do to our chances. But, it’s a start. So this April we’re encouraging you to work on those two tracks: You can join a local Promise to Protect training stop and learn how you can turn up to stop the Keystone Pipeline, and stay tuned for updates on other actions targeting Dominion and the Atlantic Coast Pipeline. At the same time, keep the pressure on Congress to keep debating climate solutions, and make sure they #KeepItInTheGround and say #nonukes as part of those solutions. A great action this week is to call your Senators and tell them to oppose Trump’s choice to lead the Interior Department, David Bernhardt, a former oil lobbyist who is exactly as corrupt as you think he is.